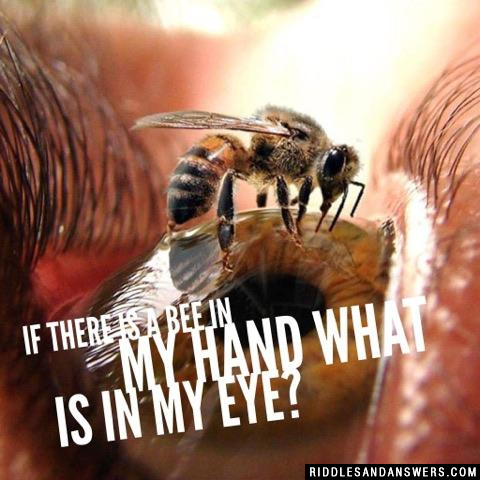 Are you looking for bee riddles and answers? Well, honey youve come to the right place! Why did the bee go to the doctor? It had hives! Good one, right? We also have some bee riddles that are a bit more challenging for your the older students. Utilize our 30 second timer for a little added challenge. And we cant forget about our insect lovers! In fact, be sure to check out our insect riddles section where you will find butterfly, spider, caterpillar and other great insect riddles! If there is a bee in my hand what is in my eye? What kind of bees never die? Why did Jimmy's parents scream when they saw his grades? What does a bee wear to the beach? Because they are hum bugs. How fast can a bear run from angry bees? Why is a bee never on time? 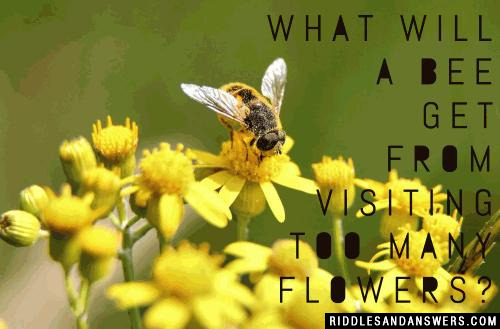 What will a bee get from visiting too many flowers? 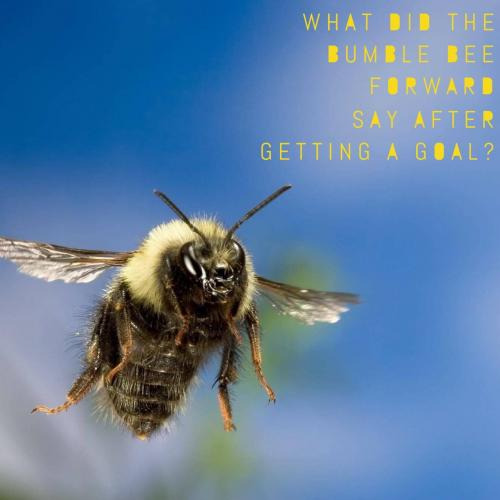 Can you come up with a cool, funny or clever Bee Riddles of your own? Post it below (without the answer) to see if you can stump our users.